Bruce Jenner has decided to become Caitlyn Jenner, a transgender woman, and too many people across the country are foolishly viewing Jenner as a hero—please stop the madness! Before many of you begin to see this transgender woman as a hero, it’s important to allow serious investigation to take place about her potentially being a murderer. In America, we’re becoming so fascinated with the uncanny or spectacle that a celebration of mediocrity is taking root across the nation. While I’m not discriminating against anyone, including Bruce Jenner, for becoming transgender, I am criticizing how many view the transition to transgender as heroic—it’s not; it’s a calculated choice. Don’t be fooled by media’s attempt to depict Caitlyn Jenner as a hero and courageous. Jenner and her family have a history of loving the limelight and money. Are we approaching a historical and cultural epoch in America where making a transition to transgender is a solemn human accomplishment? If so, America is certainly headed for decline. At the 2015 ESPYS, ESPN gave Caitlyn Jenner the 2015 Arthur Ashe Courage Award. ESPN’s standards for courage have now become conspicuously low. Bob Costas, NBC News journalist and sports analyst and someone who certainly isn’t a right-wing Republican by any stretch of the imagination, posits that Jenner was given the award as “a crass exploitation play” and “tabloid play.” I couldn’t agree more with Costas. When one considers that Caitlyn Jenner could make $500 million in the coming years for simply being transgender, it’s obvious that ESPN exploited the news surrounding Jenner, and we see what could be the true reason why Bruce Jenner decided to transition into Caitlyn Jenner: money. No matter how much money Jenner makes it doesn’t make becoming a transgender woman an accomplishment. Although much of American popular culture offers great value, some dimensions of it has caused us to lower our standards about what authentic achievement really means. When Beyoncé’s recent “big announcement” can lead numerous people to take off of their jobs to watch and hear it, this signals we need to return to celebrating genuine accomplishments. We have become too fascinated with inane phenomena. It’s time for more Americans to commit to true achievement. Instead of focusing on Caitlyn Jenner, more Americans need to concern themselves with high academic achievement. Across the nation, countless students and teachers are achieving extraordinary feats truly deserving of even greater attention than Jenner has received. Also, American small business entrepreneurs across the nation are accomplishing amazing phenomena each day. Unfortunately, too many would rather celebrate a man’s simple transition to a transgender woman than a young black man’s journey to being accepted into every Ivy League institution. Political correctness attempts to compel people to support inconsequential phenomena as if they’re significant. If individuals are unwilling to give praise to Caitlyn Jenner, then they will be attacked as “transphobic,” “bigots” and “discriminatory.” Although none of the aforementioned labels accurately describe me, if you desire to label me in such a way for not believing becoming transgender is heroic, courageous and an accomplishment, then I will proudly where your disparaging labels as badges of honor. America is the nation that produced such greatness as George Washington Carver, Alexander Graham Bell, Toni Morrison, Bill Gates, Dr. Martin Luther King, Jr., Michael Jordan, Thurgood Marshall, Colin Powell, Carter G. Woodson, Benjamin Franklin, Harriet Tubman, Susan B. Anthony, Sheryl Sandberg, Booker T. Washington, W.E.B. Du Bois, Ida B. Wells, and Oprah Winfrey. All of the aforementioned truly accomplished individuals have been and are celebrated. 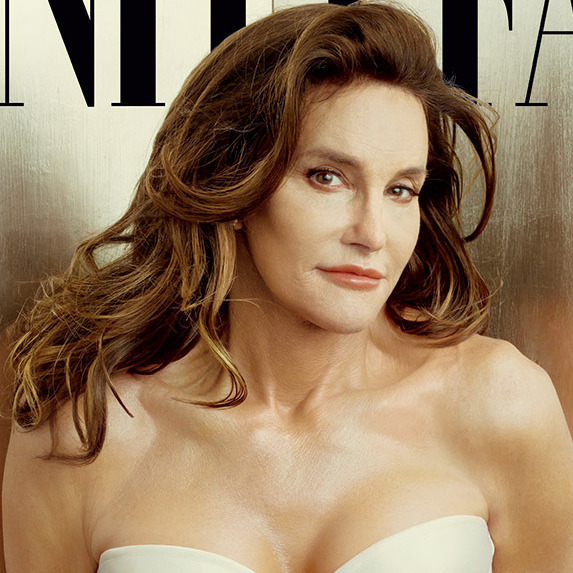 Now, many are celebrating Caitlyn Jenner—something is wrong with this picture. Let’s change the channel. ANOTHER VIEW–MORE CRITICAL THAN MINE AND PERHAPS LESS BIASES! Thanks very much for reading and reblogging the article. I didn’t even watch it last night. Then I heard Jenner’s pr people negotiated for the award, to boast up espn ratings. In other words, she didn’t deserve it in the first place, where someone like Lauren Hill should have received the award. ESPN watered down the Arthur Ashe award brand with this shenanigan. It was all about ratings. ESPN is cheapening its reputation with crass stuff like this. Jenner doesn’t represent courage in any form. I happen to be in a location where I had no choice but to watch it.